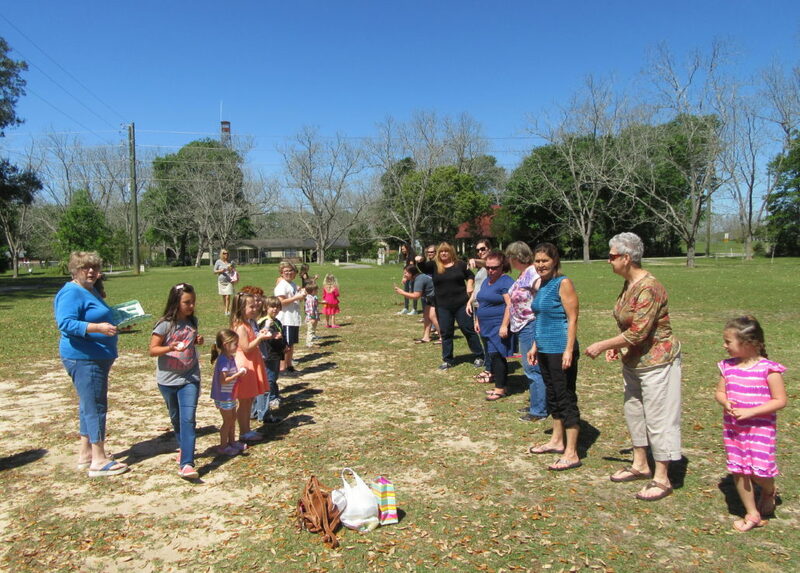 St. Mark’s in Elberta, AL, held their annual community Easter Egg Hunt on Saturday, April 8. It was a great success, with many children there from the community as well as our church. Toby Moore played his guitar and sang praise music during the event. In addition to the Easter egg hunt, children played many games, colored Christian Easter pictures, and received gift bags and a Christian cross bookmark.